From the gas station to the television. 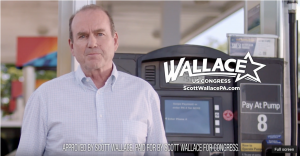 Scott Wallace, Democratic candidate for Pennsylvania’s 1st District, released his first television ad of the general election cycle against Rep. Brian Fitzpatrick (R-Bucks). Wallace, standing at a gas station, ties his opponent to big oil corporations and the GOP tax bill. The Fitzpatrick campaign fired back by claiming Wallace was a liar and referenced a back and forth between the Democratic candidate and Rachel Reddick, during the Democratic Primary. The Fitzpatrick campaign continued to critique Wallace’s financial status as a divide between the two candidates. The story was updated with a comment from the Fitzpatrick campaign. Since Oil was discovered in Pennsylvania and current National Gas Reserves will supply America with over 40% of Natural Gas Power Plants for the next 30 years, to oppose such production does not make economic sense. Additionally, America’s Oil, Gas, and Coal is needed by the rest of the world and strong competitor to Russia and China that seeks to undermine such American wealth. POTUS FDR Vice President was Henry Agard Wallace that strongly supported New Deal liberalism and sought conciliation with the Soviet Union. However, many in the Democratic Party wanted Wallace replaced By Truman in 1944. 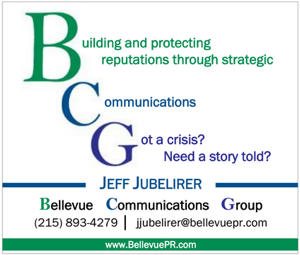 Why a Congressman would be against Pennsylvania Oil and Gas that could help pay for Infrastructure rebuilding is not good politics, in my view. He isn’t taking corporate money because his pawpaw already left him the keys to the castle. For Wallace it isn’t who gives money to him, its who he gives money to. The THOUSANDS given to Bucks Dem Committee to secure the nomination, money given to anti-jewish groups. Wallace is literally the worst candidate to win a primary in recent memory. Fitzpatrick new about the turtles!!!! And did nothing. Still hanging out with that felon. Lock Summers up! You’re in a for big surprise come filing time, my friend. My 401K has skyrocketed since President Trump was elected. Add to that the Trump Tax Cut, which Brian Fitzpatrick voted for and I see more money in my paycheck, a lower tax rate and when it comes time to file taxes for 2018, my family and I will see even more benefits. A vote for Wallace will be a vote to reverse these gains. Isn’t that special. So you are one of the lucky 19% of people actually seeing a benefit in pay. If we are retired or work low-paying jobs, the Tax Cut had no effect on our lives. If we have 401(K)s their values have only recently recovered their original value before they plunged during the Recession caused by Big Banks. It just goes to show that Republicans are for the Rich, and the Rich like Republicans. If you’re retired or working a low-paying job you weren’t paying any federal income tax to begin with. Hard to significantly cut taxes for people who don’t pay them. Team Fitzpatrick can’t even be bothered to address the issue addressed in Wallace’s ad: their guy’s vote for a tax scam that benefits only the uber-rich. Instead, the pivot to a primary election that’s over and the Big Lie that Fitz, who votes with Trum 83 percent of the time, has a shred of independence that Paul Ryan doesn’t let him have. Look, squirrel! 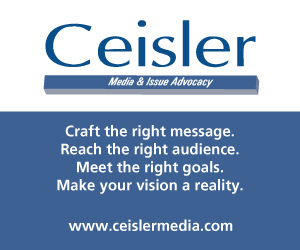 Great ad. Fitzpatrick is a skunk.